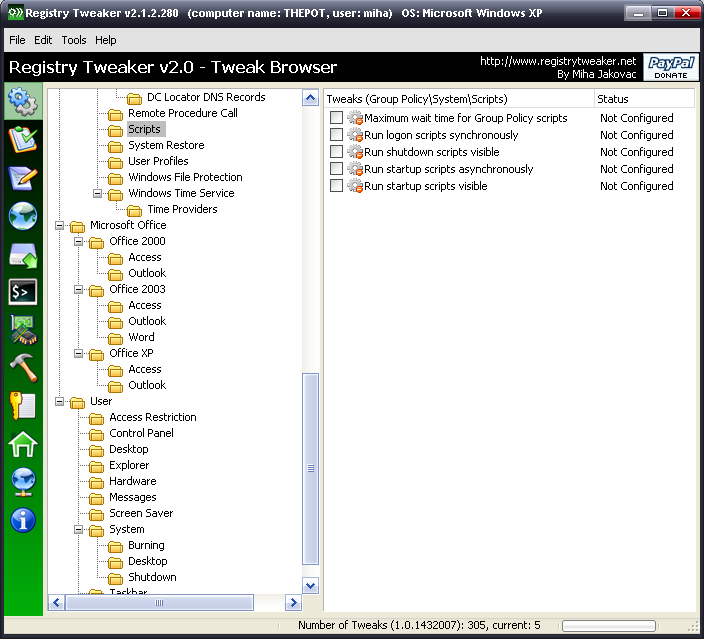 Description: It is a powerful application that allows you to access many obscure registry tweaks easily. It provides a nice description for each tweak as well, helping less technical users understand what each one does. It also supports profiles, which allow you to apply a predefined set of tweaks automatically.